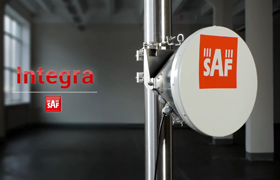 Integra is an unbelievably light, energy efficient carrier-grade system that exemplifies an outstanding return on smart engineering - the synergy of high competence in radio electronics and materials science. Integration of next generation microwave radio with high and super high performance antennas into a single unit translates into a lower total cost of ownership, as well as less time spent on the installation site, and better reliability of the link even in densely served areas. With header compression in 1+0 configuration or 2+0*. Direct radio and antenna integration allows to save time usually spent on radio to antenna assembly and hermetization. Makes it possible to use smaller size antenna on existing link or to cover longer distances due to better system gain @ 256 QAM. 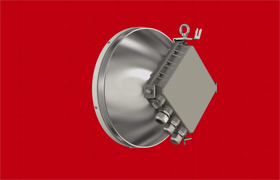 With optional ETSI Class 4 antennas Integra is perfect radio to be deployed in dense microwave environment. All-Outdoor radio (incl. modem, Ethernet network processor, PoE splitter and surge arrestor) with integrated antenna in a single-unit compact design. From 3.5MHz up to 60MHz in single hardware design. Integra is the most universal radio fit for variety of applications – from last-mile to backbone connectivity. Fiber conduit kit for Integra, 0.5 m, with hermetic connectors and mounting. Adapter cable for powering Integra radio from 48 V DC line.